The Womanity Foundation’s upcoming gala, on 4 February 2016, in Geneva, will focus on the role of media for empowering women and achieving social change and will welcome many talented international artists and personalities. Set in a TV studio décor that symbolizes the role of media for the advancement of women, the Womanity Foundation’s sixth gala will take place on 4 February 2016 at Geneva’s Palexpo. Some 1000 selected guests are invited to attend this extraordinary event, whose benefit will fund Womanity’s activities around the world to enable women to shape their future and accelerate progress in their communities. During its last edition in 2014, the gala raised a record amount of CHF 2 million, thanks for the generosity and support of its sponsors and guests. The Womanity Foundation leads a number of innovative projects using media as a means to empower girls and women. In this context, Womanity welcomes the participation of Maysoun Odeh Gangat, the director of Radio Nisaa FM, to its upcoming gala evening. Radio Nisaa, created in 2009 thanks to Womanity, is the first commercial radio in the Middle East, managed, produced and presented by women and catering to women and men in Palestine and throughout the Arab world. In 2016, Womanity and Nisaa are deploying a regional multi-media platform called Nisaa Network whose mission is to feature content that promotes dialogue around the role of women in Arab societies. The Foundation is also launching the #ICTforWomanity network, a collaborative space for people and organizations that use new communications technologies to promote the rights and safety of women. This project is part of the next edition of Womanity Award that will be attributed in 2016 in support of innovations aimed at preventing violence against women. Distinguished guests will attend an evening, which promises to be magical. 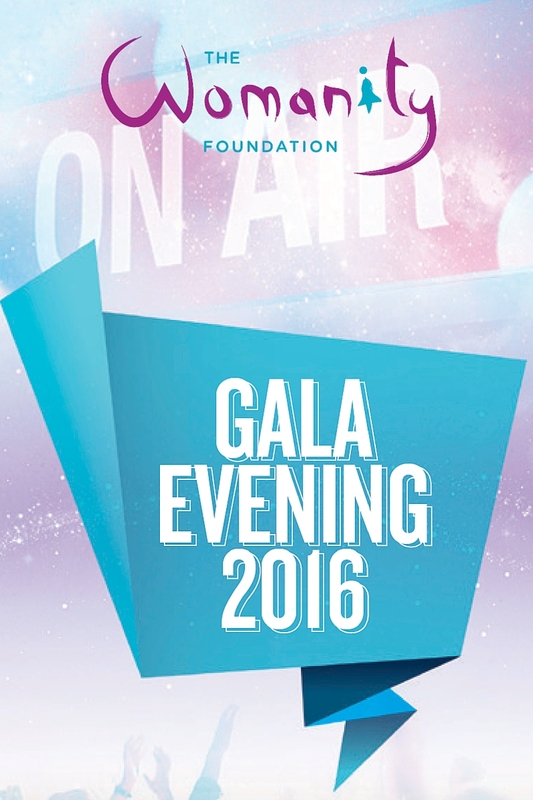 Louise Ekland and Cécile de Ménibus will act as “masters of ceremony” at the 2016 gala evening. By their presence, the two notorious television presenters demonstrate their commitment to Womanity’s cause. Some of the many highlights of the evening will be: a breath-taking pole-dance performance by Saulo Sarmiento, dancer, acrobat, multi-disciplinary artist working with the prestigious Spanish Cirque du Soleil; a hilarious act by the singer-impersonator Julian Fontalvo, straight out of Ibiza, who will delight the audience to the rhythm of popular songs; an exceptional show by Micah and his extraordinary Discobandits. The French painter and live-performer Michaël Raivard will create one of his famous artworks for the auction, while the Swiss-Egyptian sculptor Yves Dana will reveal and auction off one of his iconic sculptures. The great Aurel Bacs and Anne Lamunière will master the hammer in a fabulous auction sale, with unique pieces and experiences, such as a Fiat 500 customized by the world-renown Brazilian Campana brothers’ design studio and a unique Jeep Renegade designed by the famous Italian entrepreneur Lapo Elkann. All revenues raised during the gala will be dedicated to funding programs Womanity Foundation and its partners on the ground. Organized every two years since 2005, the Womanity Foundation charity gala aims to raise money for the Foundation’s projects and activities on the ground. The 2014 event was attended by 1000 guests and raised a record CHF 2 million through spectacular auction sale. A pre-Gala press conference will be held on 4th February at 11 am at the Hotel Richemond in Geneva. Please rsvp to Laurence Zanon (contact below).